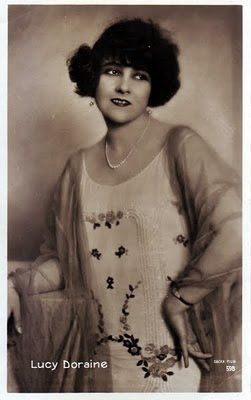 Whilst Lucy Doraine may not be a household name these days, for a brief heady period from 1918, through the roaring 1920s until 1931, when she retired from cinema at the ripe old age of 33, she starred in 24 - mostly silent - movies. She was sometimes credited as Lucy "Dorraine" and in her very early roles under her birth name of "Ilonka Kovács". Ilonka was born on 22 May, 1898 in Budapest in what was then Austria-Hungary and is most famous for the work she did with her husband and fellow Hungarian-born film director Michael Curtiz. Curtiz was an enormously prolific director with a hugely successful Hollywood career - just think of Casablanca, or even Elvis Presley's finest film King Creole - but before moving to the US he already had fifty or so European films under his belt. Of these films the most notorious is probably the 1922 Austrian silent epic Sodom and Gomorrah in which he cast his wife in the leading role of Mary Conway. The film went down in history as the largest and most expensive film production ever made in Austria with Vienna-based producers Sascha-Film (in full Sascha-Filmindustrie AG) footing the bill! The company is named on this card erroneously as "Sacha Film" which would date this uncirculated postcard to the 1920s. 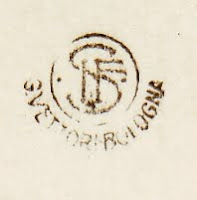 The real photograph Italian postcard was issued by publishers G.Vettori from Bologna and bears their distinctive logo on the reverse of the card. Unfortunately I've been unable to discovered anything esle about Lucy Doraine's later life other than that she moved to the US and died in Los Angeles,California, aged 91. If anybody can fill in the missing years please leave a comment below! A beautiful postcard of Lucy. You can find some more information about her on my blog European Film Star Postcards: http://filmstarpostcards.blogspot.com/search/label/Lucy%20Doraine. Latest vintage postcards on eBay! Thanks to Christine at The Daily Postcard!